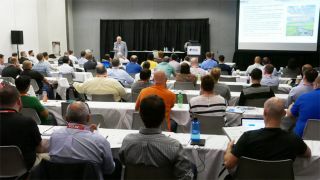 The Digital Signage Federation and the Digital Signage Expo are partnering with the Digital Signage Experts Group (DSEG) to bring comprehensive live certifications to DSE 2017 in Las Vegas. These courses are designed to educate attendees thoroughly, from the fundamentals to in-depth technical training, covering critical areas of digital signage. This fundamentals course effectively brings AV, IT, advertising, marketing, and content professionals up to speed in the booming digital signage markets. It will allow you to master the formulas for successful business decisions, design, product selection, deployment, and ROI/ROO. The course delves deeply into the market/industry, and closely examines the 7 Key Elements of Digital Signage. This deeply technical course recognizes that one type of display does not fit all. Each display type has its own personality, and responds to inputs and environments differently. The goal of this certification is to understand the operation of each type of common display technology, their strengths and weaknesses, and how to calibrate them to provide the perfect picture. Networks are the backbone of digital signage, allowing the real-time communications that deliver the benefits we seek. DSNE discusses the complete fundamentals of networking, with a clear discussion of network construction, function, ports, protocols and security. We will allow those who attend to go from little or no network knowledge, to being able to work with them for digital signage. In digital signage, content is the vehicle that allows us to deliver the message (and call to action) that is the purpose of every network. The DCME defines content, examining in depth what content can and cannot do. Audience impact and relevance are emphasized, and the need to clearly articulate the objective and strategy, ultimately leading to viewer engagement. Good design, understanding costs, and outsourcing are covered. Wrapping up is digital signage business models and analytics.